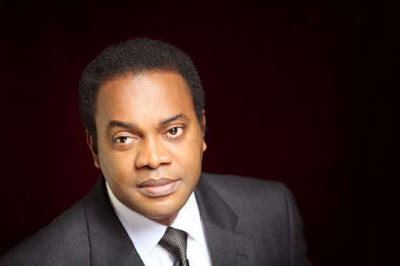 A former Governor of Cross River State, Mr Donald Duke, said on Tuesday he has not dropped his presidential ambition. According to him, he has great passion to rule the country. Donald Duke stated this in a chat with the News Agency of Nigeria (NAN). He said the speculations that he has dropped the presidential aspiration were untrue. The ex-governor said he has not officially declared for the presidency for strategic reasons. “Sometime ago, I said I will run for the presidency of the country if the opportunity presented itself. “Yes, my presidential ambition is still intact. I am only waiting for the opportunity to present itself to make the right move,’’ he said. Asked on what platform he would run, since he was a member of former President Olusegun Obasanjo’s inspired “Coalition for Nigeria Movement (CNM),” he said it was too early to decide on the matter. Donald Duke however said he was still a member of the Peoples Democratic Party (PDP). “I am still a member of the PDP, at the same time a member of the coalition which is not a political party. The coalition will definitely align with a political party to achieve its goals, otherwise it will make no sense. “I can’t say yet the platform on which I will run if the opportunity presents itself. We are still watching and will take the right step at the right time,’’ he added. However when he was asked on what his opinion was on the abductions and killings in some parts of the country. The former governor described the situation as being disturbing and he urged the relevant authorities to confront the problem in time. According to him, it is when the country is at peace that the economy will thrive and the people will live in happiness.